We learned an important lesson this week – when ordering non-standard cuts of meat it’s important to be explicit about your expectations (in fact, this probably applies to much more than scary cooking, but perhaps that’s another post). 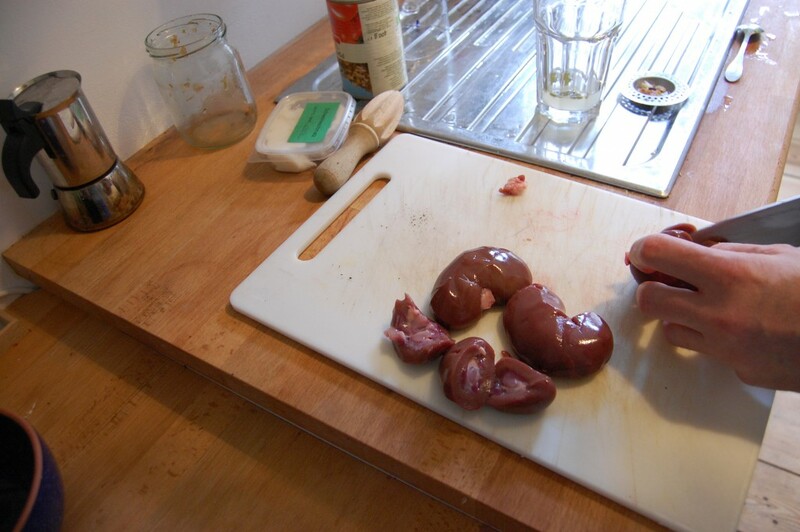 We were aiming to serve lamb kidneys pan-roasted in their surrounding suet (the hard fat which encompasses kidneys), and although we were told by our butcher that this is how the kidneys were sold, when Brio picked up the goods it turned out we hadn’t made it clear enough. What we got instead was 4 well-cleaned, little baby sheep kidneys. So it goes. 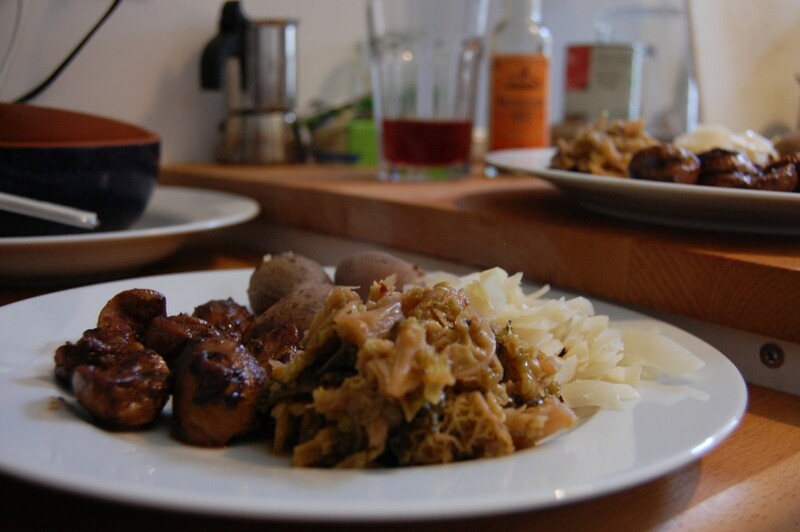 We fell back to an old favorite and prepared them ‘deviled’ instead, along with some fermented cabbage, collard greens, boiled potatoes and two excellent fermented beverages courtesy of our guest Alexis from ediblealchemy.co – a black current cream soda and a basil and corriander water kefir. 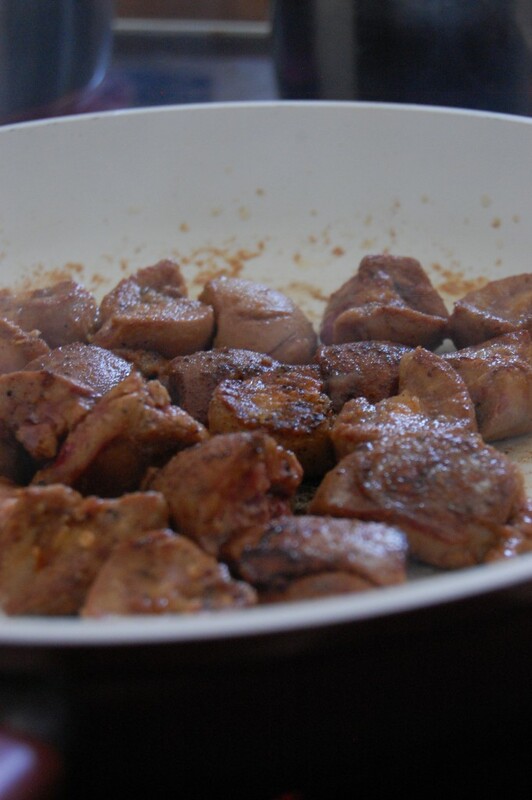 First we set everything to start heating up while we began to prepare the kidneys – remove the gristle from inside the kidney and slice into medallions. 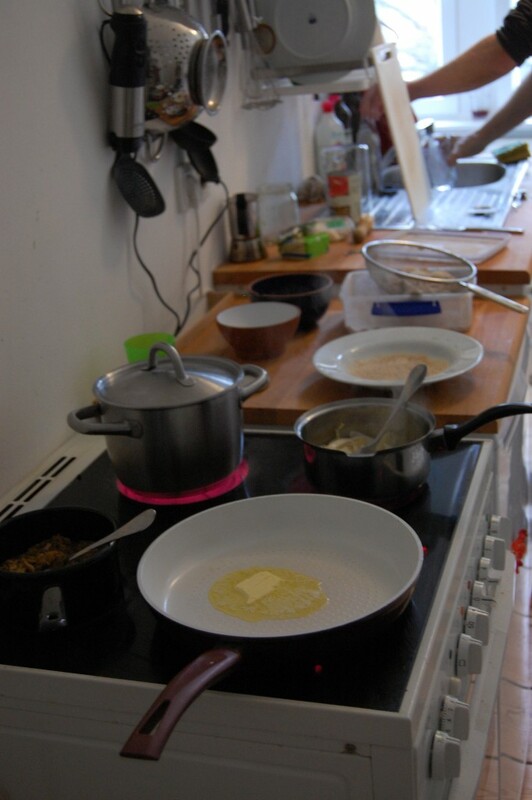 Coat the pieces with seasoned flour – we used ground mustard, ground black pepper and cayenne pepper – then stir fry in a very hot pan with a good hunk of butter. Brown the kidneys on each side and serve immediately with your sides of choice, some red wine or another fermented drink and enjoy! Kidneys are quickly moving out of the scary realm and becoming a food I would feel comfortable preparing for friends or just on a quiet night in. They have a very pleasant, creamy texture, a surprisingly delicate flavor and relative to other sustainable meat products, they’re very affordable.